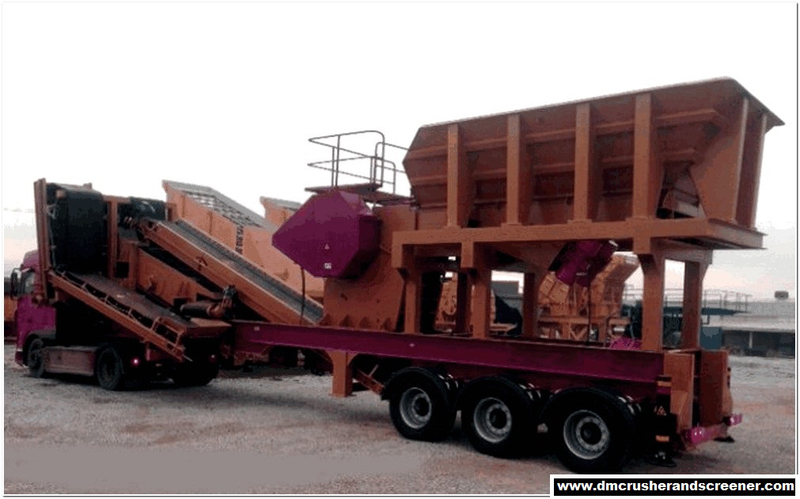 The DM 6000 primary crushing screening system is all collected in one platform and can be transported by a truck. The DM is specially designed by the R&D group to be installed within a short time. The work that the classical primary crusher can do can be done by itself. At present we are one of the most preferred machines in the world and Turkey market. They are the most suitable crushers for breaking hard materials such as basalt and granite, as well as materials from iron ore, chrome or quartz. It is 600 mm wide and foldable type. Drive drums are rubber coated and threaded. The gear units are 3 transmission type and the new generation is with torque connection system. A side scraper system is available to prevent spillage of the final product into the stock area during crushing. Foldable with hydraulic piston for easy assembly and disassembly of the system. 600 mm wide folding type . Final Size: Can be set to give a final product of 0 – 100 mm or larger. Capacity is variable according to the material feed and final product dimensions to be broken and it is 50 – 100 ton capacity.